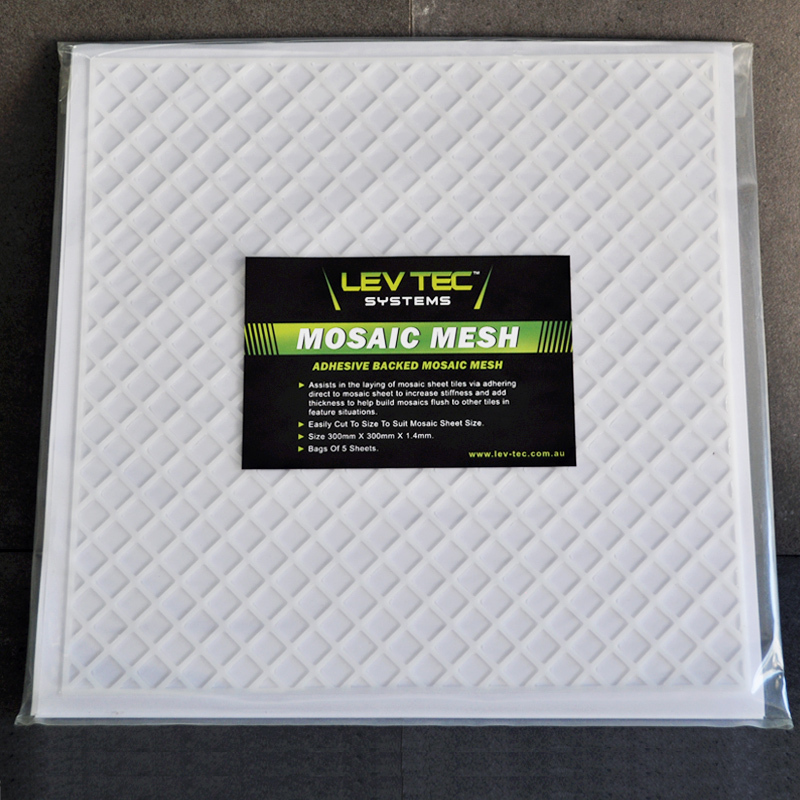 Adhesive Backed Mosaic Mesh (300mmx300mmx1.4mm)- Bag of 5 sheets. Assists in the laying pf mosaic sheet tiles by sticking direct to mosaic and increasing stiffness. Add thickness to build out to outer tiles in feature situations. Easily cuts to size to suit mosaic sheet size. Pattern allows for adhesive coverage to mosaic sheet.